1-2-19 - FHS 39, Hueneme 50: The Flashes played extremely well in the league opener before losing to host Hueneme. Leading for the Flashes: Jake Saviers, 16 points, 7 rebounds, 3 blocks and 4 steals; Roy Esquivel, 11 points, 4 rebounds, 2 assists, 1 block and 2 steals; Junior Maldonado, 8 points, 8 rebounds, 2 assists, and 2 steals. 1-9-19 - FHS 68, Nordhoff 63: The Flashes visited Nordhoff for their second league game. It took two overtimes before the Flashes came away with the Victory. Nordhoff player hit a desperation 3 pointer as time expired to send game to OT. In the first OT it was back and forth with score being tied again after first OT. In the 2nd OT, the Flashes were able to prevail; Jaysson Carillo hit 2 critical FT’S off the bench for an injured Junior Maldonado to secure the Victory, along with Roy Esquivel hitting timely shots. Leading for FHS: Roy Esquivel, 24 points, 5 rebounds, 4 assists, 1 block, and 3 steals; Julian Lizarraga, 14 points, 9 rebounds, 1 assist, and 1 steal; Jake Saviers, 15 points, 14 rebounds, 2 assists, 1 block, 3 steals; Junior Maldonado, 6 points, 7 rebounds, 1 assist, and 2 steals; Ryan Gonzales, 5 points, 4 rebounds. The Flashes lost the home league opener to Santa Paula. The Flashes started strong, just couldn’t make the crucial shots down the stretch when needed. 1-14-19 - FHS 62, Malibu 43: The visiting Flashes lead the entire game, playing with a renewed focus after dropping Fridays home league game. The contest was fairly close for the first half, then the Flashes turned it on in the second half to bring home the victory. 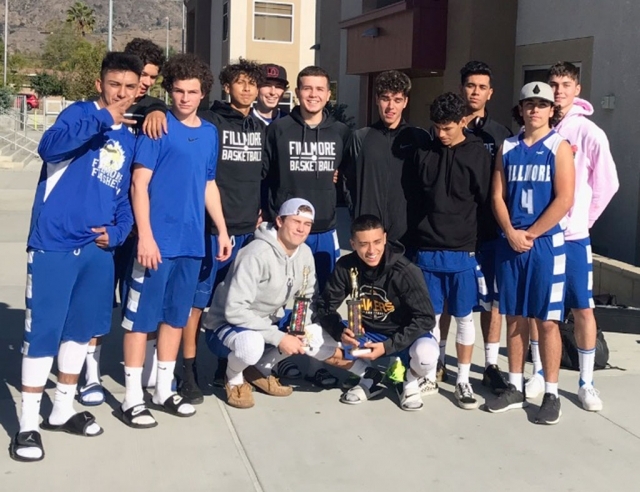 Leading for Fillmore: Jake Saviers, 20 points, 12 rebounds, 1 assist, 2 blocks, 2 steals; Roy Esquivel, 11 points, 7 rebounds, 4 asists, 4 steals; Andres Maldonado, 6 points, 7 rebounds, 1 block, 2 steals; Junior Maldonado, 6 points, 8 rebounds, 1 block, 3 steals; Ryan Gonzales, 6 points, 4 rebounds, 3 assists, 2 steals; Julian Lizarraga, 5 points, 9 rebounds, 1 assist, 1 block, 2 steals; Jaysson Carrillo, and Davis Flores chipped in 3 points apiece, and Brandon Antonsen chipped in 2 points, Flashes are now 2-2 in Citrus Coast league 8-11 overall. 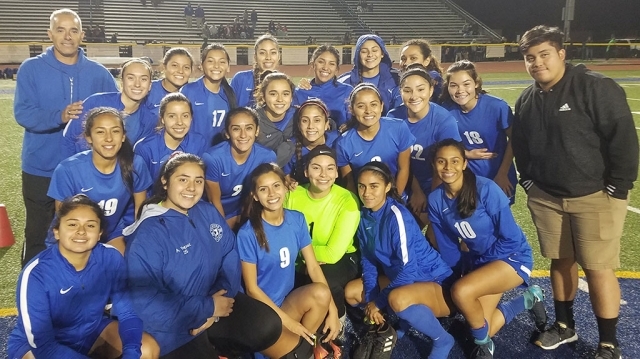 Submitted by Coach Javier Alcaraz Jr.
On Friday January 4, 2019 the Flashes played in their first league game against Carpinteria. Flashes Varsity 2, Carpinteria 0, Goals: Yobany Figueroa 1, Carlos Vargas 1, Assist: Yobany Figueroa 1, Shutout by GK Eric Lopez. Record: league 1-2 Overall Record 9-6-1. 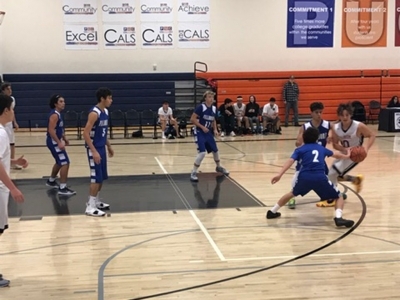 The held their first Citrus Coast League opener against Carpinteria on Thursday, January 3rd with a final score of Fillmore 77, Carpinteria 28. - Ebony Venegas: 22 Points, 6 Rebounds, 5 Steals, 3 Assists. - Elisa Ramirez: 16 Points, 11 Rebounds. - April Lizarraga: 16 Points, 13 Rebounds, 7 Steals, 2 Assists, 2 Blocks. - Alexis Sanchez: 8 Points, 3 Steals, 4 Assists. - Jordyn Blankenship: 6 Points. - Caitlyn Barragan: 6 Points, 8 Rebounds, 3 Assists. - Emma Ocegueda: 3 Points, 4 Rebounds. Game #1: Flashes 1, Rio Mesa 0. Goal: Yobany Figueroa 1, shutout to Sophomore Fabian Martinez goalkeeper. Game #1: Flashes 2, Oxnard 1. Goals: Yobany Figueroa 1, Marco Reyes 1 game winning goal, Assist: Kevin Weslow. Which allowed the Flashes a chance to play for 5th place in tournament. The Boys never really got going; cold shooting night, and Thacher was over 60% from the field. 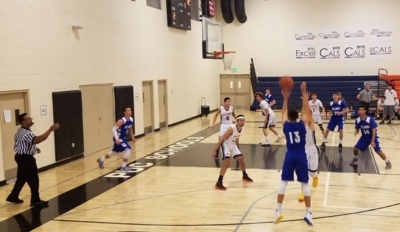 Leading for Fillmore: Jonathon Soto, 6 points, 2 rebounds, 1 assist, one steal; Julian Lizarraga, 6 points, 4 rebounds; Andres Maldonado, 5 points, 4 rebounds, 1 steal. The boys struggle with cold shooting for the second game in a row, and found themselves playing another hot shooting team in the loss. 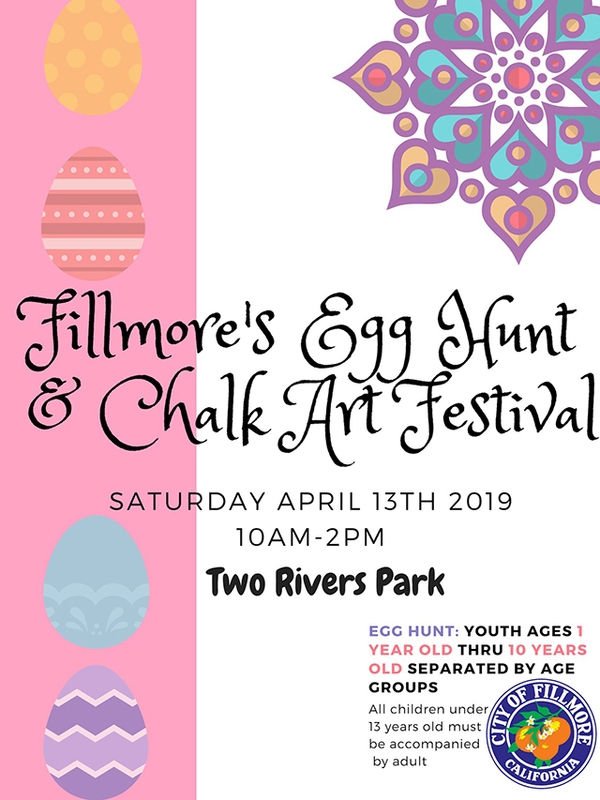 Leading for Fillmore: Roy Esquivel, 12 points, 6 rebounds, 3 assists, 1 steal; Andres Maldonado, 8 points, 8 rebounds; Jake Saviers, 10 points, 13 rebounds, 1 assist, 2 blocks, 1 steal. The boys played well throughout the contest, coming up short in the end. It went down to the wire; Flashes just couldn’t find the win. Leading for Fillmore: Roy Esquivel, 14 points, 3 rebounds, 3 assists, 2 steals; Jake Saviers, 14 points, 7 rebounds, 1 block, 1 steal; Junior Maldonado, 12 points, 7 rebounds, 2 steals. Flashes came out flat, CI came out strong and hard, The Flashes hung in there, just couldn’t get over the hump in this contest. Leading for Fillmore: Jonathon Soto, 16 points, 2 rebounds, 2 assists, 3 steals; Julian Lizarraga, 9 points, 6 rebounds, 3 blocks, 2 steals; Junior Maldonado, 6 points, 3 rebounds, 1 steal. Fillmore is now 6-9 on the season. We’ve had more interest from students this year and have managed to retain enough players to field both JV and Varsity level teams. 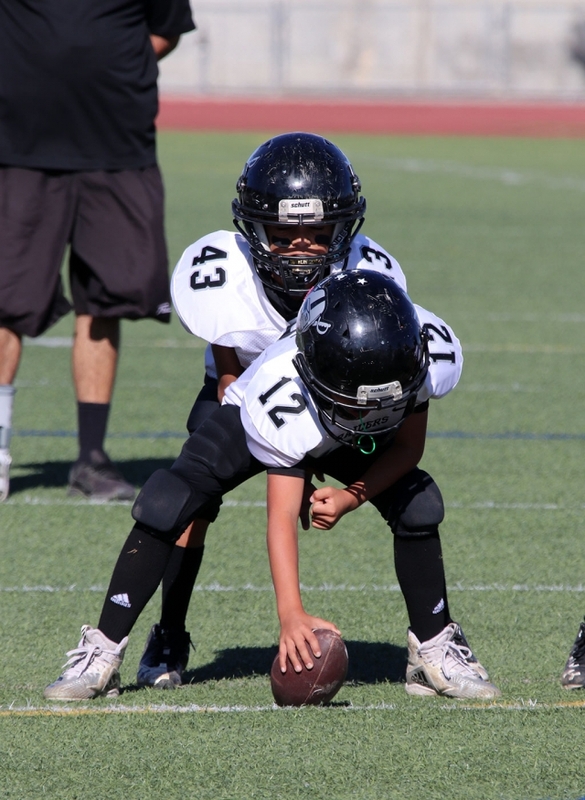 As a whole, we are a young team with many first year players. There was an obvious difference in last Thursday’s game against Santa Paula between the two teams. I believe that we have more athletic ability on our team this year than we’ve ever had before so the biggest difference lies in the experience levels. Yesterday was Santa Paula’s 11th game of the season while it was only our first. Now having seen what a difference more playtime can mean, our girls are eager to come back to practices ready to put in some hard work. With the help of our FHS Athletic Booster Club, we are going to be competing in the Claremont Water Polo Tournament in January. This will be the first year a Fillmore girls water polo team has competed in a tournament, so I’m looking forward to the experiences that will bring them, I am also hoping that it can help light a fire under these girls so they really attack this season, start setting higher goals, and realize how capable they really are. This season our team should see a substantial amount of improvement from start to finish, and I can’t wait for this season to really get going for our girls. Final Scores: JV lost 2 – 14 & Varsity lost 19-6. Submitted By Coach Javier Alcarza Jr.
Shutout from Goalkeepers Mariano Gonzalez and Arturo Prado. December 12, 2018 League Games: Varsity Flashes 2- 4 Hueneme Goals: Yobany Figueroa 1, Carlos Vargas Assist: Javi Mendez 1 League Record 0-1 Overall Record 5-4-1 JV Flashes 0-4 Hueneme. The boys started fast in this contest before eventually losing the contest. Leading for Fillmore: Roy Esquivel, 15 points, 5 rebounds, 3 assists, and 3 steals; Johnny Soto, 7 points, 3 rebounds, 1 assist, and 1 steal; Ryan Gonzales, 6 points, 4 rebounds, and 1 steal; Andres Maldonado, 4 points, 5 rebounds, 1 steal; Julian Lizarraga, 4 points, 8 rebounds, 2 steals. The boys played great defense in this low scoring contest to get the win. Leading for Fillmore: Jake Saviers, 9 points, 6 rebounds, 1 block; Roy Esquivel, 7 points, 5 rebounds, 3 assists, 3 steals; Julian Lizarraga, 6 points, 7 rebounds, 1 assist, 1 steal; Davis Flores, 8 points, 3 rebounds, 1 assist, 4 steals; Andres Maldonado, 4 points, 5 rebounds, 1 steal. The boys played well throughout this contest, coming up a little short at the end. Leading for Fillmore: Roy Esquivel, 10 points, 3 rebounds, 4 assist, 4 steals; Jake Saviers, 10 points, 8 rebounds, 5 assists, 1 steal; Julian Lizarraga, 11 points, 4 rebounds, 1 assist; Andres Maldonado, 6 points, 3 rebounds, 2 blocks; Johnny Soto, 6 points, 1 rebound, 1 steal; Davis Flores, 3 points, 4 rebounds. The Flashes finished the tournament in 6th place. Record is now 6-5 on the season. The Fillmore Flashes Boys Basketball team with their 1st place trophy as well as Flashes Jake Saviers with his MVP trophy from the Northeast Valley Tournament. Photos courtesy Coach Mark Blankenship. The Flashes lead most of the game, earning a hard fought victory in the first game of the tournament. It was a battle, the boys responded and played hard to earn the victory. 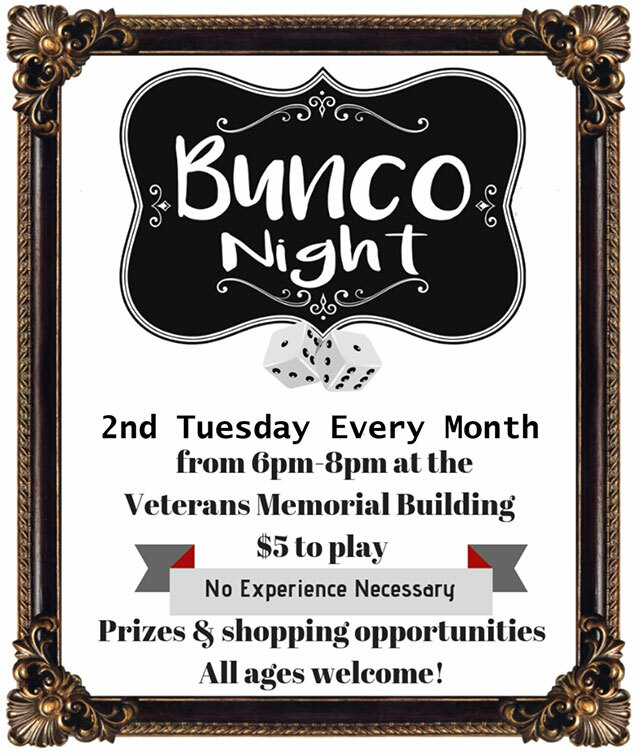 Game was played at Vaugh learning Center. Leading for FHS Julian Lizarraga, 13 points, 11 rebounds, 2 blocks and 1 steal; Jake Saviers, 13 points, 9 rebounds, 2 blocks, and 3 steals; Roy Esquivel, 10 points, 6 rebounds, 5 assists, 1 block, and 4 steals; Davis Flores, 6 points, 2 rebounds, 1 assist, 2 steals; Jaysson Carrillo, 6 points, 1 rebound, 1 steal. The Flashes lead throughout the game, holding Triumphs guard(avg, 31 points a game) to 20 or less to come home with the victory. Game was splayed at Triumph High School. Leading for FHS, Julian Lizarraga, 13 points, 6 rebounds, 1 block, and 1 steal; Roy Esquivel, 10 points, 4 rebounds, 3 assists, 4 steals; Jake Saviers, 7 points, 5 rebounds, 3 assists, 1 block, and 1 steal; Junior Maldonado, 7 points, 3 rebounds, 1 assist, and 3 steals; Johnny Soto, 6 points, 3 rebounds, 3 assistsand 1 steal; Andres Maldonado, 5 points, 4 rebounds, and 1 steal; Brandon Antonsen, 6 points, 4 rebounds, 1 steal; Davis Flores, 6 points, 1 rebound, 2 assists, and 1 steal; Ryan Gonzales, 3points, 4 rebounds, 2 assists, and 1 steal; Robert Saucedo, 3 points, 1 assist; Jared Schieferle, 2 points, 2 rebounds, 1 assist; Dylan Crawford, 2 points, 6 rebounds; Jaysson Carrillo, 2 points, 1 rebound, 1 assist, and 1 steal. The Flashes had foul trouble most of the game, losing Julian and Andres early in the 4th qtr. Team pulled though with tuff defense as a team to pull out the Win on Vaughns home floor. Leading for FHS, Roy Esquivel, 20 points, 7 rebounds, 5 assists, and 3 steals; Junior Maldonado, 11 points, 8 rebounds, 1 assist, 1 block, and 2 steals; Julian Lizarrag, 8 points, 9 rebounds, 1 assist, 1 block, and 1 steal; Jake Saviers, 6 points, 9 rebounds, 1 assist, 1 block, and 2 steals; Davis Flores, 5 points, 1 rebound, 2 assists, and 1 steal; Andrres Maldonado, 3 points, 6 rebounds, 1 block, and 1 steal; Johnny Soto, 4 points, 1 rebound, 1 assist, and 1 steal; Ryan Gonzales, 2 points, 5 rebounds, 1 assist, and 1 steal. The Flashes jumped out fast and hard and never looked back, building a 22-2 first qtr lead and bringing home the victory. Game Was played at Sun Valley High School. Leading for FHS, Jake Saviers, 12 points, 6 rebounds, 2 blocks and 2 steals; Davis Flores, 12 points, 2 rebounds, 3 assists, and 2 steals; Junior Maldonado, 7 points, 6 rebounds, 1 block, and 2 steals; Roy Esquivel, 6 points, 3 rebounds, 4 assists, and 3 steals; Andres Maldonado, 5 points, 4 rebounds, 1 block, and 1 steal; Julian Lizarraga, 4 points, 5 rebounds, 1 block, and 1 steal. Jaysson Carrillo, 5 points, 1 rebound; Dylan Crawford, 4 points, 5 rebounds. The Flashes entered the Championship game with a 4-0 record, going up against a CIF 5 A division opponent ranked higher than them. The boys started fast, building a 14 point lead, that quickly got down to 10. The boys regrouped , buckled down with their ½ court defense as well as creating turnovers with their full court pressure defense to build a 22 point half time lead. Start of the third qtr., the boys didn’t let up, continuing to play aggressive and great full court and half-court defense as well as executing on offense and transition . The boys entered the 4th qtr with a commanding 27 point lead, and continued to play extremely well to earn the Championship. Tournament MVP Jake Saviers, 17 points, 15 rebounds, 2 assists, 3 blocks, and 4 steals; Roy Esquivel, 9 points5 rebounds, 5 assists, 1 block and 5 steals; Julian Lizarraga, 8 points, 11 rebounds, 1 block, and 2 steals; Junior Maldonado, 8 points, 9 rebounds, 1 block, and 3 steals; Johnny Soto, 7 points, 5 rebounds, 2 assists, and 2 steals; Ryan Gonzales, 6 points, 4 rebounds, 1 assist, 1 steal; Jared Schieferle, 5 points, 3 rebounds, 1 assist, 1 steal; Davis Flores, 3 points, 2 rebounds, 2 assists, 3 steals; Andres Maldonado, 3 points, 7 rebounds, 1 block; Jaysson Carrillo, 2 points, 1 rebound, 1 steal. Fillmore hosted Rio Mesa on 11/27/18 and came up on top 5-0. Isabela Regalado had a hat trick scoring 3 goals to lead the way. Kayla Martinez, Aliya Baez , Sophia Garibay , Lupita Bravo played well defensively. Fillmore hosted Alemany on 11/29/18 and came up short loosing 2-1. Lone goal was scored by Ariana Ocegueda. Fillmore then traveled to Moorpark and lost 3-0. The Lady Flashes played hard and had the score 0-0 at halftime. 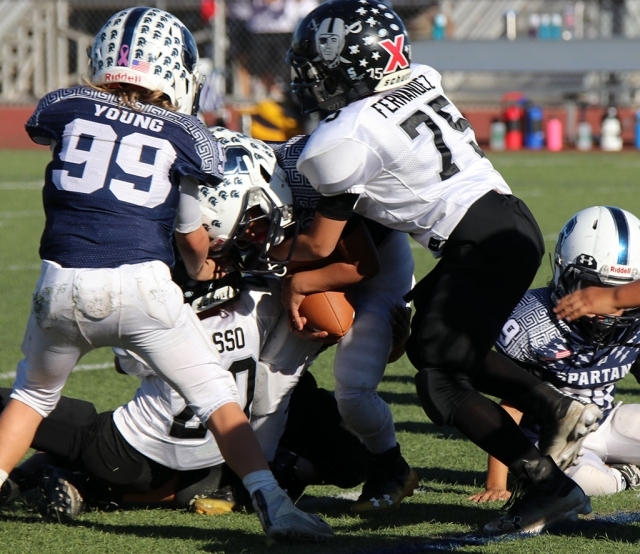 Moorpark scored early in the second half and pulled away late in the game. Fillmore traveled to Westlake to face Calabasas and won 2-0. Andrea Maruffo had 6 shots on goal with 1 assist. Anahi Andrade and Jennifer Cruz each had a goal. Aaliyah Alfaro, Alexis Mejia , Ariana Ocegueda played well. On 11/30/18 the Lady Flashes played Moorpark high. The girls played hard, but lost the game 4-0. Goalie Aylin Lizarraga saved many possible goals. The defense played great and hard Tamara Rodriguez, Miranda Magana, Eileen Perez and Aileen Tapia. The Lady Flashes opened their season Tuesday, November 20th against Saint Bonaventure and came up short with a score of 8-0. Leading the way for the Flashes was Junior Stiker Ana Covarrubias with 3 goals, Alexis Velasco, Jennifer Cruz, Arianna Ocegueda each had a goal and Aaliyah Lopez had two goals. The defense played great only allowing 3 shots on goal. Sadie Rico and Ashley Yepes combined for the shut out. Pictured are the Lady Flashes after their first game of 2018 season. Submitted by Coach Homer Omero. 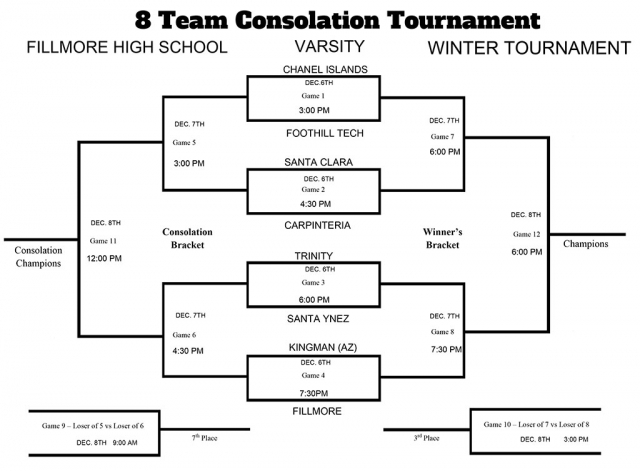 The Flashes will be hosting a tournament December 6th – 8th. Pictured above are the brackets and schedule. 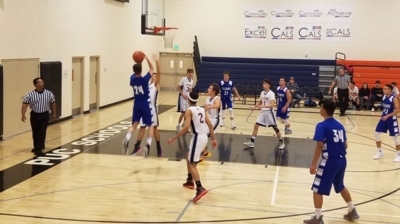 Fillmore High School Boys Varsity Basketball defeated Animo Bunche in the Northeast Valley Tournament last night 58-34. 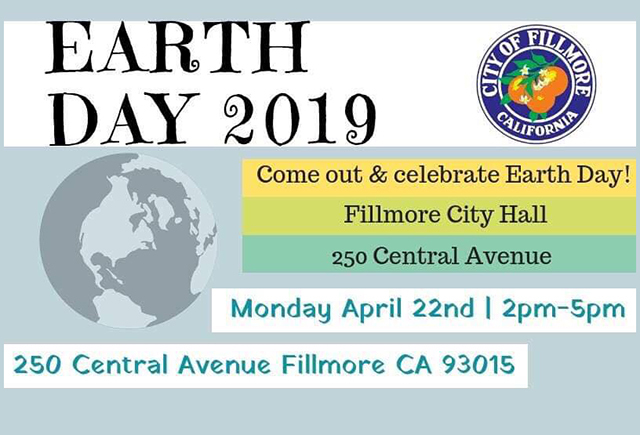 Fillmore led the whole way in this contest. The boy’s played hard, executed both offense and defense as well as running their full court pressure. Julian Lizarraga, 13 points, 11 rebounds, 2 blocks and 2 steals; Jake Saviers, 13 points, 9 rebounds, 2 blocks and 3 steals; Roy Esquivel, 10 points, 6 rebounds, 1 block, 4 steals and 5 assists; Jaysson Carrillo, 6 points, 1 rebound, 1 steal; Davis Flores, 6 points, 2 rebounds, 2 steals; Junior Maldonado, 3 points, 6 rebounds, 2 blocks, 3 steals; Andres Maldonado, 2 points, 6 rebounds, 2 blocks, 1 steal; Johhny Soto, 2 points, 1 rebound, 1 steal, 1 assist; Ryan Gonzales, 2 points, 2 rebounds, 2 steals, 2 assists. The Varsity boys are now 1-1 on the season. The Boys will continue to play in the Northeast Valley Tournament this week, Nov. 27, 29, 30 and Dec 1 at various locations. On Saturday the Varsity boys and girls Cross Country teams traveled to Riverside to compete in the CIF Southern Section Division 4 Finals. Both teams competed against 24 other teams that advanced from last week’s Prelims as the best teams in the Southern Section Division. Only the top 7 teams in each race would earn the right to advance to the California State Finals in Fresno, California on November 24th. Individuals would also try to earn a chance to compete at State Finals. The girls were led by Carissa Rodriguez, the top runner for the Flashes over the last 4 years. Carissa finished in 16th place in a time of 18:28.4, as an individual on a non-qualifying team, she finished 1 place out of qualifying as an individual. She was followed by Diana Perez 26th in 18:45.42, Nicole Gonzalez 72nd in 19:37.36, Vanessa Avila 98th in 20:15.59, Andrea Marruffo 104th in 20:17.61, Isabela De La Cruz 137th in 21:17.91 and Angelica Herrera 161st in 22:23.81. In the team competition, Fillmore Varsity Girls finished in 11th place. The boys were led by Fabian Del Villar. Fabi ran his best time on this course and his best time to date. He finished in 21st in a time of 15:41.51 improving on his time from last year by 1 minute and 26 seconds. He was followed by Nick Villela 49th in 16:17.04, Rey Laureano 59th in 16:26.75, Alex Manzo 70th in 16:34.76, Erick Gutierrez 74th in 16:36.37, Jesse Martinez 97th in 16:53.09, and Camilo Torres 106th in 17:00.61. As a team, the Boys Varsity finished in tenth place narrowly missing the State Meet by 3 positions. This terminates a great season where Fillmore teams captured League titles in the Varsity Boys, Varsity Girls, and the Junior Varsity Boys. The Varsity teams were both able to advance to the CIF Southern Section Division 4 Finals and narrowly missed qualifying for the State Meet. Way to run Flashes, you make us proud. 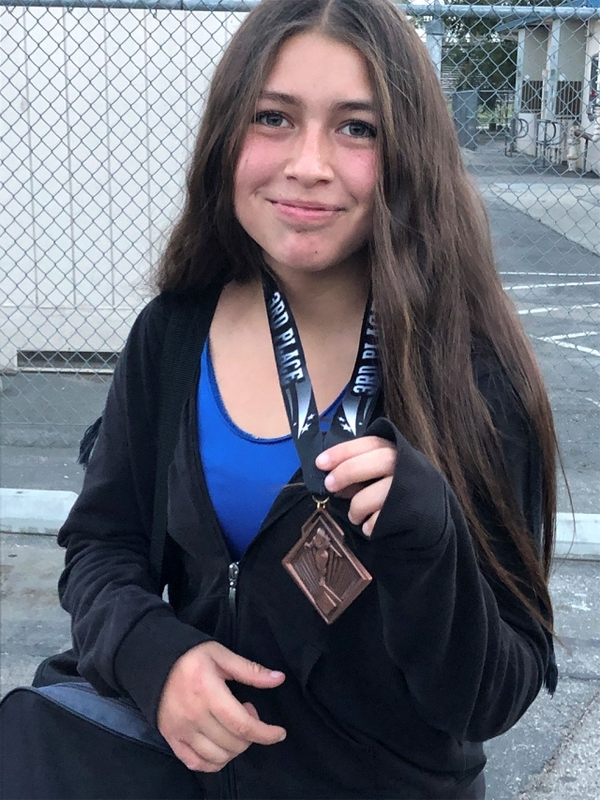 Fillmore Flashes wrestling kicked off the first tournament of the season this past weekend. Pictured right is Veronica Arroyo who went 3-1 and took 3rd Place in her weight class. Fellow Flashes Jessica Velasquez and Carmen Orozco went 0-2, and wrestled well. The boys Varsity team will be wrestling this coming weekend at Orange Lutheran High School on Saturday, November 24th at 9am. Submitted by Coach Manuel Ponce. Sophomore Fabian Del Villar finished 9th with a personal best time of 15:49.6 and leads the Flashes at the Division IV CIF Prelims. Photos courtesy Coach Kim Tafoya. Senior Diana Perez at the Division IV CIF Prelims. On Saturday both Boys and Girls Varsity Cross Country teams competed in the 2018 Division 4 Southern Section Cross Country Prelims. 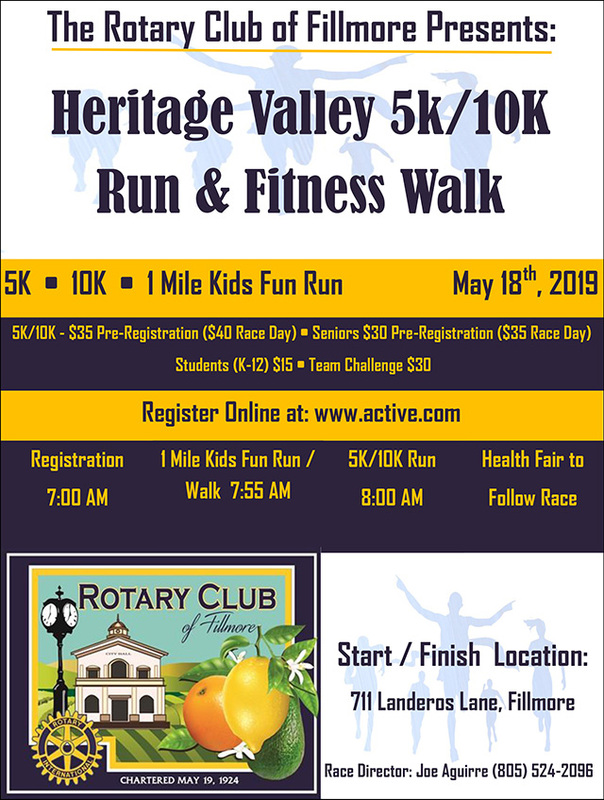 The meet was held on the 3.0 mile relatively flat course on the Riverside Golf Course. This highly competitive meet, pitted the top teams in Division 4 Southern Section in a race that would determine who would compete in CIF Finals next Saturday and possibly advanced to the State Finals in Fresno. The Varsity Boys were the first to toe the line along with 19 other top ranked teams. This race was the second of two heats in this division. Leading the pack this week was Fabian Del Villar who finished 9th in a personal best time of 15:49.6, he was followed by Nick Villela 23rd in 16:22.1, Rey Laureano 32nd in 16:31.5, Erick Gutierrez 34th in 16:33.5, Jesse Martinez 40th in 16:39.7, Alex Manzo 47th in 16:54, and Alex Recancoj 54th in 16:58.9. 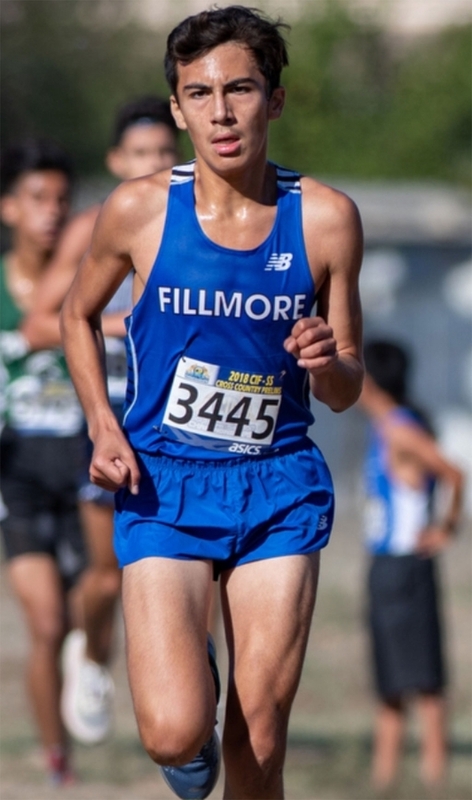 In the team competition, Fillmore finished in 5th place, there by stamping their ticket to the Division 4 Southern Section CIF Finals Meet next week. The Varsity Girls had 22 teams in their race. They also ran in the second of two heats and were led by Senior Carissa Rodriguez who captured third place in 18:29.4 in this quality field of competitors. She was followed by Diana Perez 19th in 19:13.4, Nicole Gonzalez 38th in 19:57.6, Vanessa Avila 54th in 20:15.9, Andrea Marruffo 55th in 20:16.3, Isabela De La Cruz 105th in 22:11.2, and Cecilia Cisneros 124th in 23:07.6. In the team competition, the girls finished in fifth place and also advanced to the Division 4 Southern Section CIF Finals. Next week, both varsity teams compete in the Division 4 Southern Section Finals also held on the same course in Riverside. The girls are scheduled to race at 9:25 a.m. followed by the boys at 10:35. 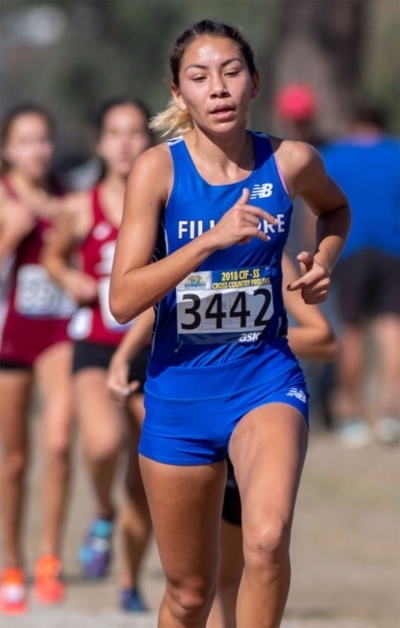 The Fillmore athletes must finish among the top seven teams in their race in order to advance to Division 4 CIF Southern Section State Finals on November 24th. An athlete may also advance as an individual, if they finish among the top 20 in the race, but they also must be one of the top five individuals. This is the third year in a row that both varsity teams have qualified for the Finals. 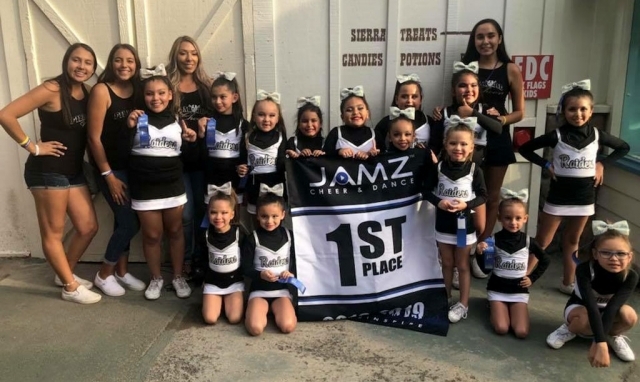 Sunday, November 4th th Fillmore Raiders Youth Cheer took 1st place at Jamz Regional Competition which was held at Six Flags Magic Mountain. This qualifies the team for the Jamz Nationals which will take place in Las Vegas in January 2019. It has been three years since the Raiders last competed. Pictured below top left: Ciera Cervantes, Aliyah De Lara, Lucia Mynatt, Kamille Murillo, Alynna Perez, Jaylene Ponce, Myla Puebla, Stevie Magana, Isabella Mynatt, Destiny Cortez. Bottom left: Noelle Magana, Malia Moore, Anli Collins, Elianna Murillo (not pictured: Rayne Celestina) Trainers: Jazmine Chavez, Aneesa Valencia, Angelina Mynatt, and Daisy Andrade. Head coach: Brianna Acosta Team mom: Irene Mynatt. Photo courtesy Coach Brianna Acosta. 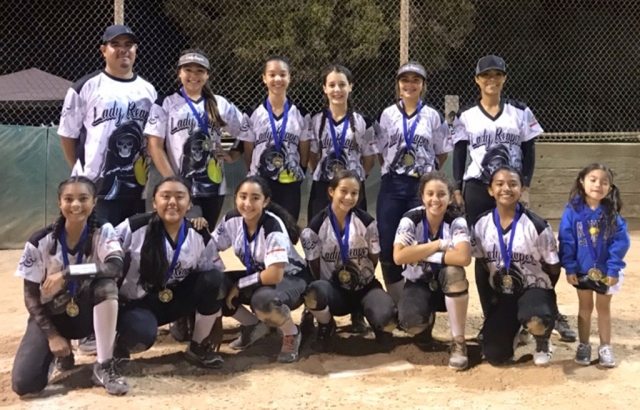 Fillmore’s 12U Lady Reapers went undefeated at the Santa Barbara Butterball Tournament. During the championship game, a walk-off single gave the Lady Reapers the win over Bownet 10-9. The game was tied with the international tiebreaker rule in effect in the bottom of the seventh inning, when Emma Estrella put down a sacrifice bunt to move Analisa Cabral over to third. Davina Miranda then singled on a 0-1 count scoring the winning run. Congratulation to the team for never giving up and playing hard until the end. Thank you to all the parents for the continued support. Front row: Sofie Aviles, Viviana Posadas, Makayla Balboa, Ary Munoz, Davina Miranda, Emma Estrella Back row: Desiree Cardona, Aleena Camacho, Analisa Cabral, Alyssa Jacinto. Manager: Cali Venegas Coach: Cesar Camacho. Photo courtesy Ceasar Camacho. 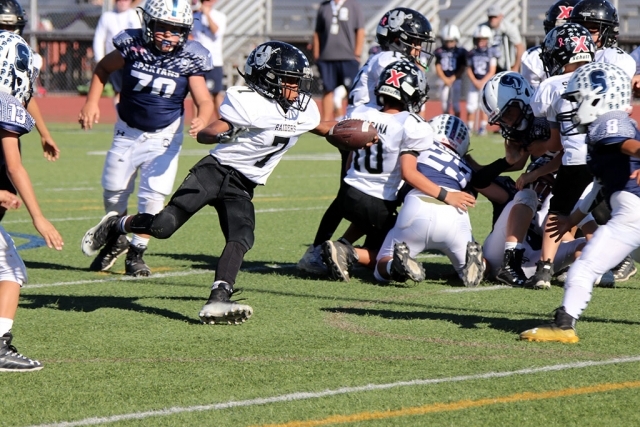 Fillmore Raiders Mighty Might Black #7 runs the ball up the filed in Saturdays game against Saugus Navy. Raiders beat Saugus 24-12, and will play the SC Wildcats November 11th 8am at Royal High School. Photos courtesy Crystal Gurrola.